Leigh’s love and passion for horses was kindled when she was five years old. Her Dad took her to visit a friend’s ponies and from that day forward, horses were a part of her life. If she wasn’t dreaming of horses, she was drawing them, riding or collecting them. As an adult, Leigh’s passion for animals continued. While her career took her into the corporate world, her home was on acreage with dogs, a donkey, and horses she adopted over the years. Leigh honed her business skills, first in law firms as a paralegal, then as an Assistant Corporate Secretary for an energy company and finally for a governance consulting business. Over the years, there were some major personal changes in her life and Leigh gradually retreated into herself and shut down her emotions. As she spent more time with her horses and became grounded Leigh started to ‘feel’ life again, with renewed mental and physical energy. In 2016 she came across a program to become a facilitator in Facilitated Equine Experiential Learning®. 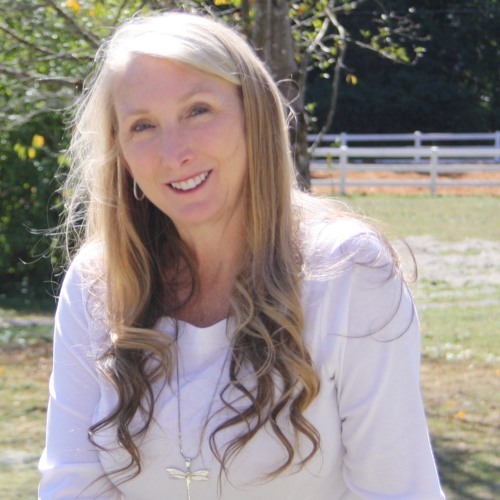 Becoming a FEEL Practitioner was a life-changing journey that allowed Leigh to partner with her horses and fully develop her intuitive skills and compassion. Lucca and Rebecca discuss the sweeping changes in Leigh's life that caused such dramatic change, and hear wonderful stories of the wisdom of horses and how they have impacted the healing of many individuals.